Hi Jo, Jaffa the gorgeous cat, and all your lovely readers! 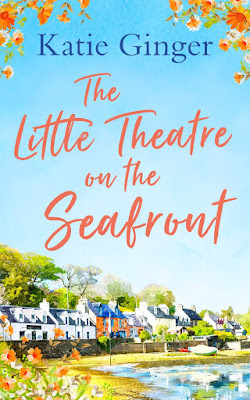 Thank you so much for hosting me for the blog tour of The Little Theatre on the Seafront. As this is my debut novel, I thought I'd tell you a little bit more about myself and how I got into writing. Like most authors, I used to love writing as a child but then with university, work, and general life getting in the way, I stopped for a long time (and I mean a long time!). It wasn't until I got made redundant that I decided I wanted to do something completely different and think differently. I'd spent so many years solving problems I wanted to do something creative and as every time I picked up a book I wished it was my name on the cover and my words on the page, I decided to do a creative writing course. I really am so glad I did! I loved the course as soon as I started and thanks to my tutor and the online writing group I joined, I realised that, while I had a lot to learn, I was kind of okay at it! I kept writing and practicing and managed to have a few short stories published, then the idea for The Little Theatre on the Seafront started to take shape. It took a couple of years to write and the story changed a lot during the revision process. After I got my book deal, my lovely editor helped me find the story I was really trying to tell and I'm so pleased with the final result. I'm really proud of it! I'm just crossing everything I've got in the hope that others enjoy it too! If anyone does read it please let me know what you think. Facebook or check out my website: www.keginger.com. So that's me! I hope I'll get to talk to you again when my next book comes out in 2019 but until then, ta ta for now! KATIE GINGER lives in the South East of England, by the sea, and apart from holidays to very hot places where you can sit by a pool and drink cocktails as big your head, she wouldn't really want to be anywhere else. 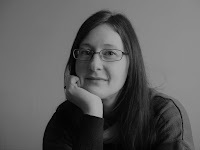 This is Katie's debut novel but she is also the author of some cosy mystery short stories. She loves making her characters either fall in love, or killing them off - it depends on her mood. When she's not writing, Katie spends her time drinking gin, or with her husband, trying to keep alive her two children: Ellie, who believes everything in life should be done as a musical number from a West End show; and Sam, who is basically a monkey with a boy's face. And there's also their adorable King Charles Spaniel, Wotsit (yes, he is named after the crisps!). Here's what I thought about The Little Theatre on the Seafront.. 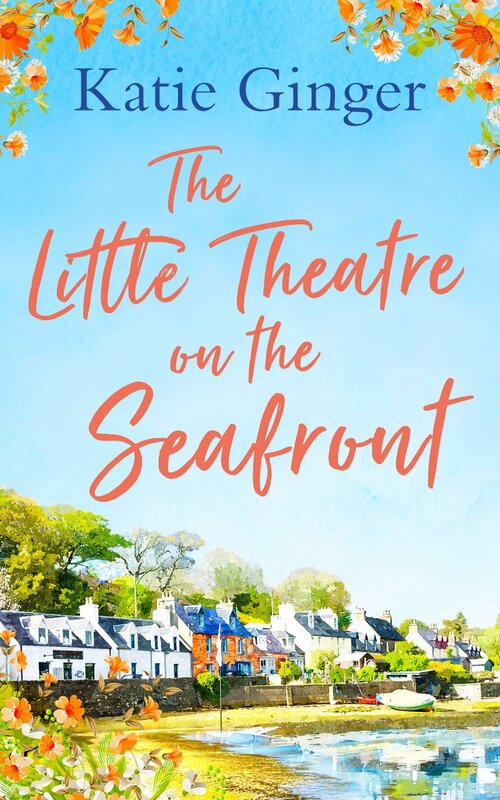 When Lottie's beloved gran dies, Lottie is persuaded, against her better judgement to take over one of her gran's good causes, namely to save the dilapidated old Greenley Theatre. With the best of intentions, Lottie, with the help of her friend, Sid, tries to inject some enthusiasm into the project but there are so many obstacles and grouchy people in the way that poor Lottie has her work cut out from the very start. I found much to enjoy in The Little Theatre on the Seafront. It's a delightfully perceptive look at life and love, the power of friendship, and of the steely determination needed to carry on when all around you is floundering. I really loved the author's light and easy style of writing and the way that she allowed her characters to come to life. They're an odd bunch to be sure, making me laugh out loud at some of their antics, particularly the actors themselves who aren't always very helpful! I enjoyed watching how they all developed as the story progressed and especially of how Lottie grew in confidence. Without doubt this is a charming debut and I hope we will see much more of Katie Ginger's writing in future stories. Huge thanks to Katie for inviting me onto her blog tour today and for her lovely guest post.